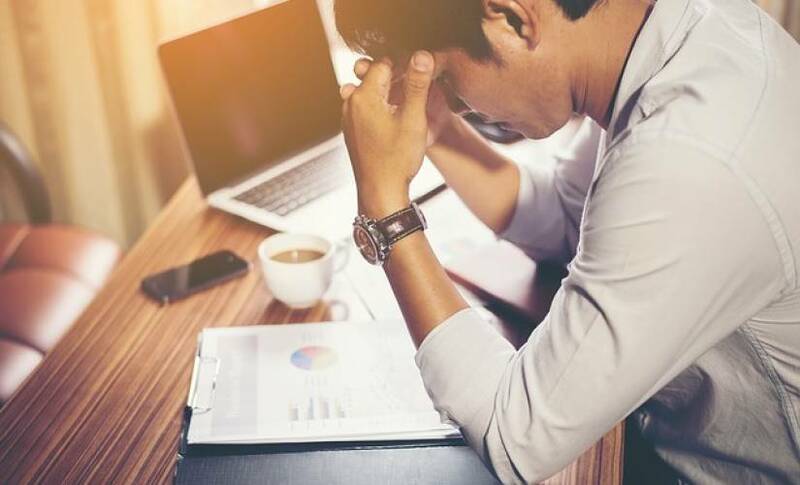 Stress is obviously something we’re all trying to avoid, but just because it’s something we try to prevent doesn’t mean it can’t be used to our advantage. Unfortunately, there’s no way of getting around it, so we might as well make the most of it. If we let stress take over our lives, we won’t get anything done. However, there are actionable ways to turn stress into success that are easy to implement and maintain. By making a concerted effort to remain calm throughout the workday, you can encourage everyone around you to turn stress into success too. Here, we’re going to break down seven ways to do so and how to start right now. Taking a deep breath is a simple way to calm yourself down quickly. It’s a trick for getting to sleep easier, but it can be just as effective at work. Focusing on the breath is a meditation practice that anyone can do anywhere. The trick is to stay consistent with your breathing. You obviously want to avoid stress to begin with, but telling you to not be stressed would terrible advice. Tell your significant other to calm down in the heat of an argument and see how well that goes down. If anything, you should identify what’s causing the stress to begin with and working from there on ways to avoid making it worse. Count your inhales and exhales for thirty seconds without thinking of anything. If your mind wanders before you reach thirty, start over. Repeat until you reach thirty. Or download an app like Headspace for a guided meditation experience. If you’re waking up and going to work tired, you’re starting the day on a bad note, and it’s completely avoidable if you simply went to bed earlier. People are irritable when they don’t sleep. Simple tasks become harder and comprehension decreases. It can even affect one’s physical ability. All these factors can make work harder to accomplish. It seems like being tired is out of our control, but it’s not. When we get more sleep, our cognitive abilities improve while our stress decreases. We become better learners, better team players, and become more positive people overall. When we don’t sleep, we put ourselves at risk of shorter lifespans, heart disease, and obesity. Set an alarm on your phone to remind you to get to bed earlier. You don’t have to close your eyes immediately, but you should shut your TV off, put down your phone and computer, and get into bed. Aim for at least seven hours of sleep. Are you a busy person that simply can’t find time to relax during the day? I’ll just be blunt and tell you you’re not that busy. Relaxing for even a half hour can be beneficial. Instead of catching up on emails during your lunch, go for a walk. Instead of waiting in line for your lunch, bring one. Your brain needs time to recover from a stressful day. If you don’t take care of it, you can’t expect it to fix itself. Work your schedule around relaxation time. If you can’t spare a half hour to an hour, at least break up your day with shorter breaks. Five minutes here and there to breathe and look away from your computer screen to step outside can do wonders. If you stick to the schedule, you’ll learn to make the most out of the limited time you have. Set an alarm on your phone or computer to remind you to take a break. Or you can tell someone you work with to remind you and keep you honest. Having someone look after you is a great way to manage stress. Doing too much at once is a great way to induce stress. We all have those busy days at work where we’re given more and more work. In fact, many people say that if you need something done, ask the busiest person to do it for you. If you find yourself in that situation where you’re the busiest person in the office, make a point of doing one task at a time. If you’re trying too hard to go back and forth between tasks, you won’t give each one the proper attention they need and you’ll drive yourself crazy knowing you’re not working to your fullest potential. Create a schedule with reminders and stay on top of it. You can do this on your phone or with task management software like Trello or Asana. Plus, everyone you work with can see what you’re working on so they’ll know whether or not it’s okay to ask for your help or to leave you alone if you’re swamped. So far this entire article has been about avoiding stress; it might come off as being counter-productive to keep yourself busy to avoid stress, but let us explain. If you plan ahead to make a big push and get all your work done for the next month so you have nothing to worry about, you’re going to get yourself in the mindset that you have nothing to do. When the time comes where you get a ton of work again, you’re not going to be prepared mentally. By remaining busy at a very manageable level, you’re keeping your mind sharp for when the real push comes. Some stress can be motivating. We all tend to work faster and harder when there’s a deadline to meet. If you’re the type to stress about not having anything to stress about, this is a great way to avoid that scenario, as well. Create a schedule and organize tasks by priority. Big projects should have more time to finish. Smaller ones should be done quickly. Finding a balance between the two is key. If you’re waiting for approval, don’t sit around waiting. Do a smaller task in the meantime. Sometimes, all it takes to reduce some stress is seeing things from a new light. This includes where you sit, what’s on your desk, and talking to new people. If you’re near a window that’s never open, open it. If that window lets the sun in, and there’s room on your desk, buy a plant (they’ll even remove toxins in the air). If you find your desk is too cluttered for a plant, clean it. You can also encourage your boss to repaint the office, bring in new chairs, or switch out regular desks with standing desks. There’s a ton of ways to go about switching up the scenery to reduce stress. These small changes are known to boost productivity. The more of an effort you make to keep things from getting stagnant, the more likely your employees will mimic that concept in their own work. Create a poll and determine what other employees think is best to increase productivity. Follow through on that poll provided the results are within reason. You’re working with other people! Act like you’re a team. Take a quick break and catch up every once in a while. If you’re stressed, tell someone. Maybe they are too. You can help each other by venting, or, at the very least, complain about the stress together. The point is to not be a stranger. Who wants to go to the same place with the same people every day and never actually get to know them? That other person might also have some valuable insight on what’s making you so stressed out. If they have a different job than you, they might be able to look at your situation from a fresh point of view. It’s not a guarantee, but at least you’re trying to resolve the stress. If you’re actively trying to reduce stress, you will get there eventually. Make a point of meeting someone new or catching up with someone on a regular basis. This will not only help you become less stressed, but help the other person too. This will create a stronger bond, a better work environment, decrease stress, and increase productivity. Stress is an unavoidable consequence of our everyday work lives. There are going to be times where we’re going to deal with it, and there are going to be times where all it seems like it’s doing is piling up and finding its way into our personal lives. However, in limited amounts, it can be used to our advantage. For example, working with a deadline can increase productivity if you’re known for procrastinating. The goal though is to limit it as much as possible, by working as a team, staying organized, making subtle changes in your personal life via meditation and getting more sleep, and changing your perspectives on certain tasks. We cannot expect stress to disappear on it’s own. We all know that the more we let it fester, the worse it gets. The more it builds, the higher the odds of a mental breakdown. By removing stress, we become better people mentally and physically. The more in tune we are with our emotions, the more we can focus on our work. This increases productivity, which ultimately increases the employee experience, and finally the customer experience. These seven actionable ways to turn stress into success are a great way to get started today.